Myfabrik is a nice personal media center server. 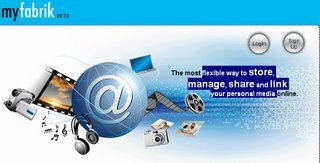 It gives you a easy and flexible way to store, manage, share and link your personal media. It is free 2GB space. Nice.